Watch The Sopranos' Strikingly Poignant Video For Labrinth's "Jealous"
Labrinth's "Jealous" is such a heartbreaking song on its own, a simple cover of the track is more than enough to leave you weeping and emotional. So, imagine the popular song as it shifts through various music styles, with an assortment of contrasting dynamics, steered by an Adele-like soloist. 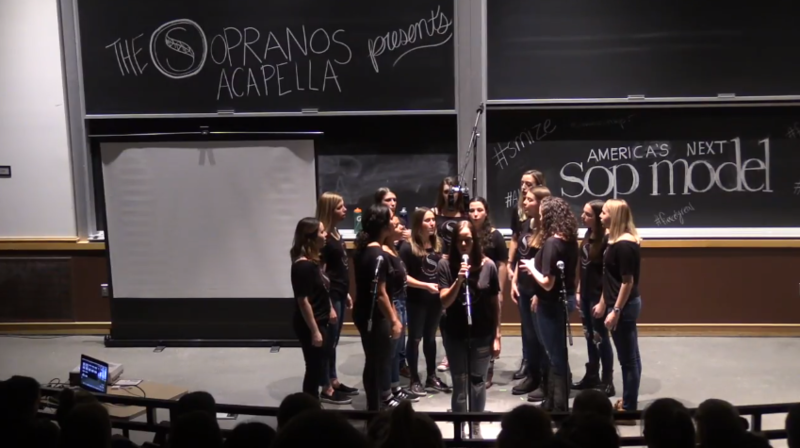 Well, this is what you get from the below performance by The Sopranos of the University of Michigan. The crafty arrangement boasts a myriad of surprises from overtones in the song's opening to one of the cleanest and most intense sforzandos we've ever experienced in recent aca-memory. The Sopranos' creative arrangement showcases great cohesiveness with each member being able to feed off of each other's energy and wonderfully dial in on what the other singers around them is feeling. As parts of the melody are passed off from lead to backing group, you cannot help but to feel a stronger connection to the song's message. And it's all that made that much more impressive thanks to The Sopranos' lead singer Grace Ewell, who has an Adele-like quality to both her delivery and sound. When Ewell opens her mouth to execute those long powerful notes, you cannot help but to think that this is too good to be true. This is more than just a shot to the gut type of performance, it is a blow to the soul in the best possible way.